Za srednja i teška SUV/4x4 vozila. 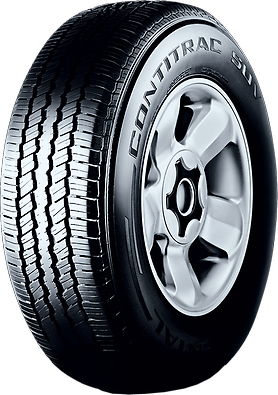 Good driving and braking performance on easy terrain. Open outer shoulder and offset rows provided for traction grabbing and good Off - Road - Look. Very good aquaplaning safety and minimal stone retention. The grooves are designed in four wide and deep, with submitted steep taper angle minimizes stone retention. Precise steering response and very good directional stability. Solid center rib provides for good driving stability.